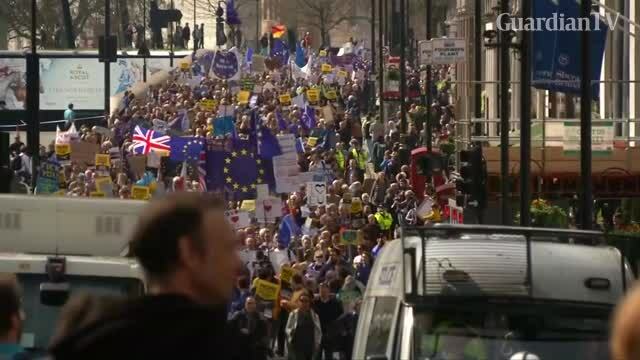 Thousands of pro-EU protesters march in London as the clock tick towards the triggering of Article 50. IT IS TOO LATE, FARAGE HAS DECEIVED MANY BRITONS OF EXITS THE EUROPEAN UNION, SO THEY FOLLOWED HIM BLINDLY, TOO LATE TO TRACE THE FOOT STEPS BACK. LET US CARRY THE CROSS LIKE THAT.